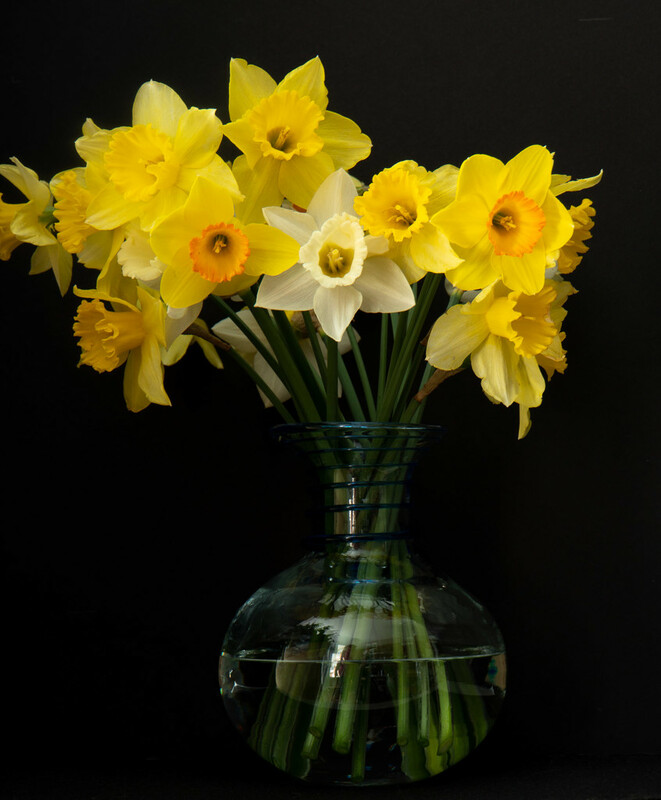 The folks who live where I do have grown up calling these daffodils "March flowers"
The vase, blooms and lighting make an effective image. Very pretty photo. I like the way the stem show through the glass and water. And, yes, it does look nice on black. Gorgeous flowers! Love them against the black background! Beautiful shot of your March flowers, Kathy! Margo, Felicity, Dawn, Caroline, Kim, Issi, Nova, Margaret and Haskar Thank you so much for your lovely comments and fav. I really do appreciate them. Beautiful, mine just starting to come up here!! @cocobella Yes. They are everywhere.